Update: The giveaway is now closed. Congratulations to our winner Carolsue – and thank you to everyone who entered! You know we love every season at True Food Kitchen (summer, spring, fall … we could go on), but there’s always something special about the fall menu. When fall comes around at True Food Kitchen, every menu item just feels both comforting and wholesome. And just in case you needed even more incentive to go there, we’re offering a True Food Kitchen gift card giveaway… read on for more! 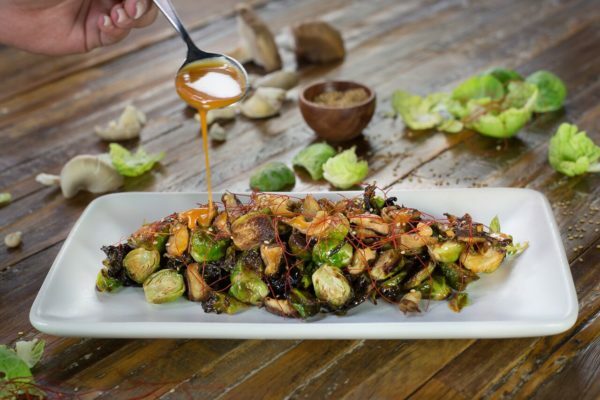 So for the new fall menu items, let’s start with the new Roasted Brussels Sprouts. Of course you would expect nothing less than amazing ‘sprouts’ from True Food Kitchen, but these head off in a new and exciting direction. The fall Brussels sprouts feature an Asian theme with Asian mushrooms, miso sesame vinaigrette, chili threads, and sesame seeds. It’s your favorite fall comfort vegetable – with a little “kick.” Oh, and like many other menu items at True Food Kitchen, it’s gluten-free and vegan. 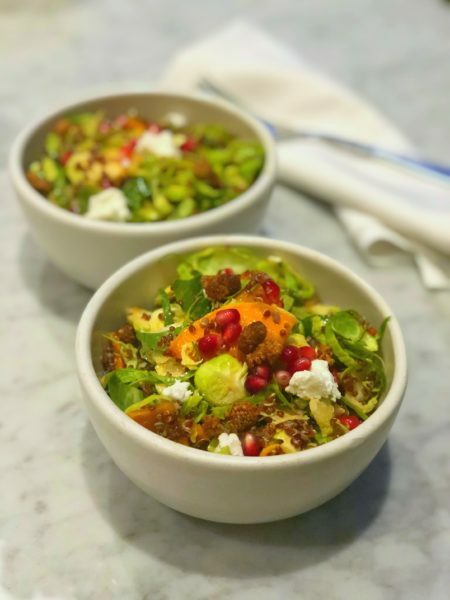 Next is the Seasonal Ingredient Salad, which features shredded Brussels sprouts, quinoa, roasted butternut squash, fresh pomegranate arils, goat cheese, toasted mulberry, all topped with a horseradish vinaigrette. If you’ve seen or tasted previous seasons’ Seasonal Ingredient Salads, you’ll notice that this one is a little different. Instead of being kind of like a side dish with chopped roasted vegetables, this one is more like a true salad, with the shredded Brussels sprouts serving as the base. And as always, you get a satisfying “crunch” (the toasted mulberries) and a “kick” (the horseradish vinaigrette) in every bite. This one’s vegetarian and gluten free, but you can always ask for it without the goat cheese if you want to make it vegan. 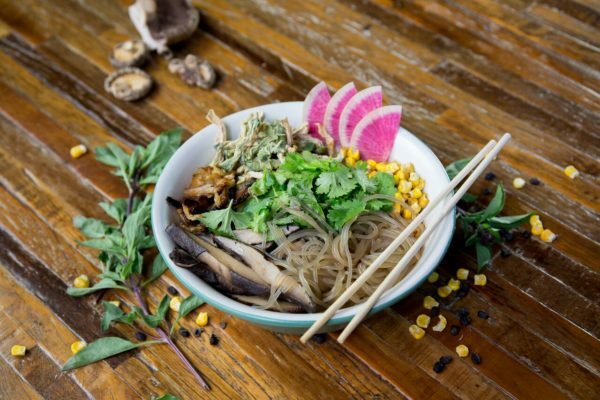 Another totally new dish is the Dashi Ramen, which has sweet potato glass noodles, bok choy, portabello mushrooms, charred onions, radish, corn, fermented black beans, and sesame chili oil. This one is probably the ultimate fall comfort food, with a rich and savory broth with hints of umami. It’s gluten-free (no wheat in the sweet potato noodles) and vegan (the broth is entirely free of meat products). You can ask for the chopsticks, but be prepared to do a lot of slurping – it’s mostly like a soup. 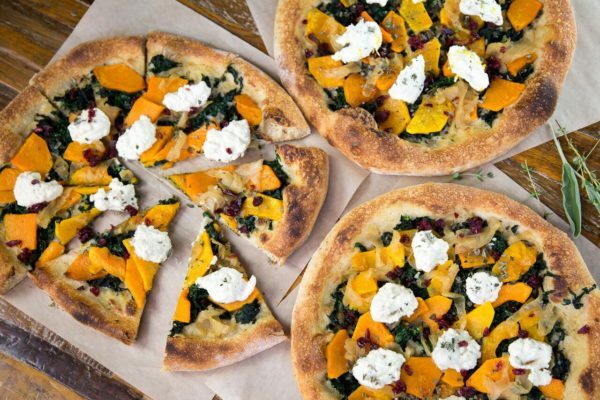 Next up is a dish that’s not new, but it’s back by popular demand: the Butternut Squash Pizza. How popular is this pizza? The restaurant actually started serving it a month ahead of the rest of the fall menu just because it was so frequently requested. It’s a perfectly crisped pizza with caramelized onion, organic kale, vegan almond ricotta, and dried cranberry. If you need a sense of what it tastes like, consider this: Our family calls it “Thanksgiving on a pizza.” The pizza itself is vegan, and (as always) you can ask for it to be prepared with a gluten-free crust if you need it. Last but not least is an updated version of the squash pie. Much like last year’s pie, it’s so rich and decadent you’ll never believe it’s free of cream and gluten. 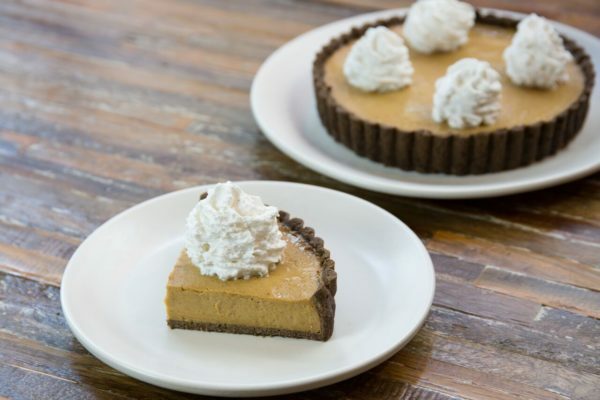 The crust is made with a gluten-free flour that’s a dead ringer for a traditional graham cracker crust. And the whipped cream on top is so rich, you’d ever guess that it’s a vegan coconut cream. This year the chefs tweaked the recipe just a little bit so there’s less sugar – and you will never even miss it. So now than ever, you can count this dessert in the “good for you” column. Wait – did you think we forgot about cocktails? Of course we didn’t. There’s a whole list of new fall cocktails and we had a chance to try two of them, which we’ll heartily recommend. The “Apple Jack” is an apple-themed drink with bourbon, cinnamon, and lemon – and it will immediately transport you to a vision of yourself wearing a plaid flannel shirt and gazing out at the sun setting on your apple orchard. Then the “Forbidden Root” features lemon-infused vodka, apple, red beet, and rosemary. It’s an amazing deep red, and it has a faint essence of beet, but it’s actually a spectacular cocktail even for non-beet-lovers. 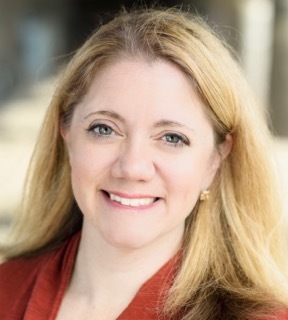 OK – now for the giveaway! We’re excited to give away a $50 gift card to True Food Kitchen. There are locations in 13 states across the country, so we hope you can find one near you. To enter, follow the rules on the Rafflecopter below. We’ll announce a winner on October 19. Good luck! 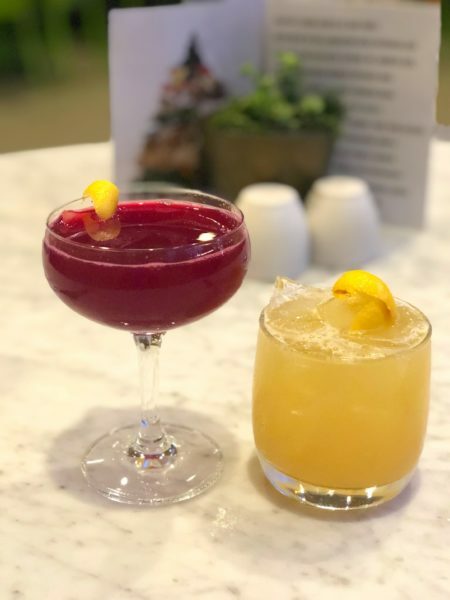 Blogger disclosure/disclaimer/small print: True Food Kitchen invited me to dinner to sample the fall menu, and will provide the gift card for this giveaway. All opinions expressed are my own. The True Food Kitchen gift card giveaway (“the giveaway”) is open to U.S. residents, age 18 & up. All entries for the winner will be checked and verified. The number of entries in the giveaway received will determine the odds of winning. One winner will be selected. The gift card will be sent directly from the giveaway sponsor. No purchase necessary. Void where prohibited by law. 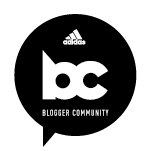 This giveaway is in no way sponsored, endorsed or administered by, or associated with Instagram, Twitter, or any other social channel referred to in this story. 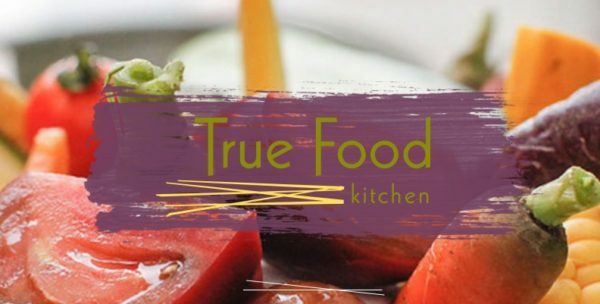 There are so many dishes I would love to try at the True Food Kitchen! The food looks healthy and delicious. TFK is one of my favorite restaurants…..EVER! Every single thing I have ordered there has been exceptional, and I often get the fall seasonal veg bowl. Excited to try this new version that is more salad-y. We have a couple of these near us but I have never tried them before! Their food sounds good! This is a new find for me… excited to explore!